The town of Frévent is 39 kilometres west of Arras, 12 kilometres south of St Pol and 16 kilometres south-east of Hesdin. St Hilaire Cemetery and Extension is on the eastern side of the town on the south side of the secondary road to Sericourt (D54). From its position, Frévent was a place of some importance on the lines of communication during the First World War. The 43rd Casualty Clearing Station was posted there from April to June 1916, part of the Lucknow Casualty Clearing Station in June, the 6th Stationary Hospital from June 1916 to the end of August 1918, and the 3rd Canadian, 19th and 43rd Casualty Clearing Stations in the summer of 1918. The great majority of the burials in the cemetery were carried out from these hospitals. 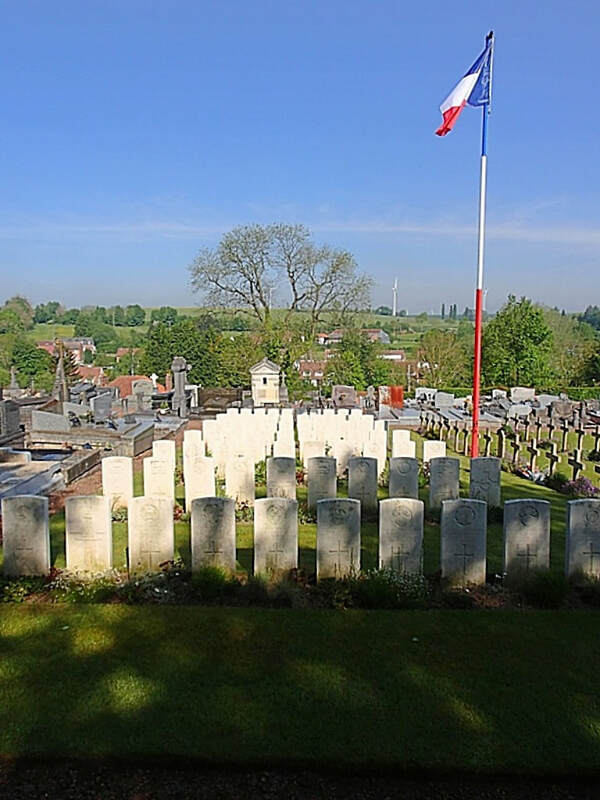 St. Hilaire Cemetery Extension was used from March to August 1918 and after the Armistice, one grave of 1915 was brought in from Dennebroeucq. During the Second World War, the greater part of Frévent was destroyed by bombing. 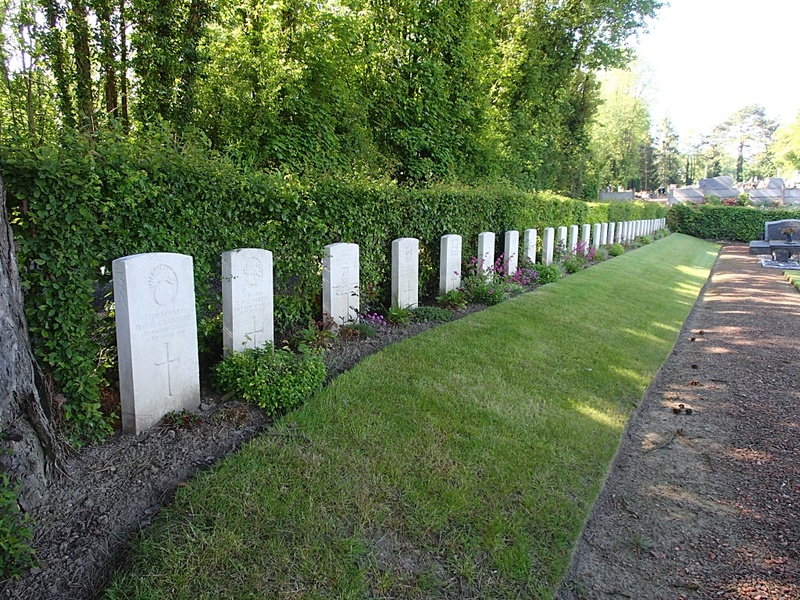 An aerial torpedo fell in the cemetery, which is near the railway line, damaging some of the graves, but the Commonwealth plot was not affected. 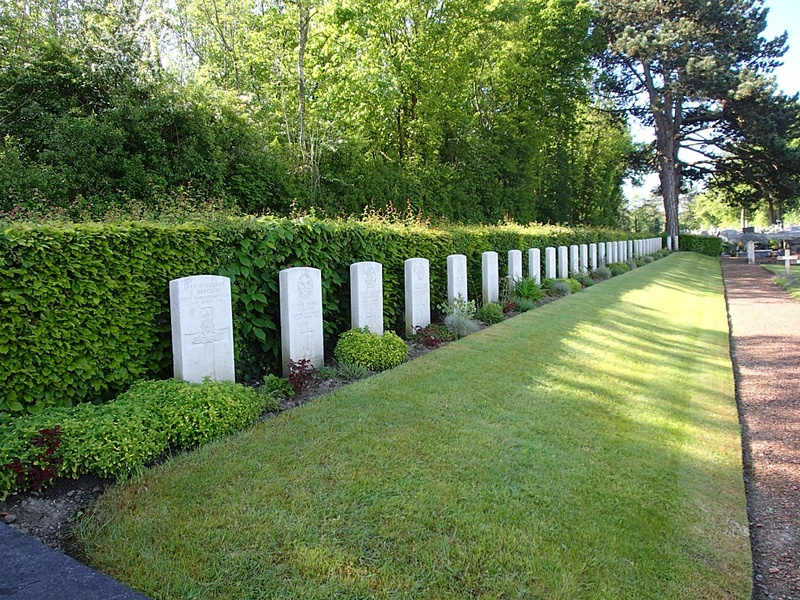 The CEMETERY now contains 210 Commonwealth burials of the First World War. 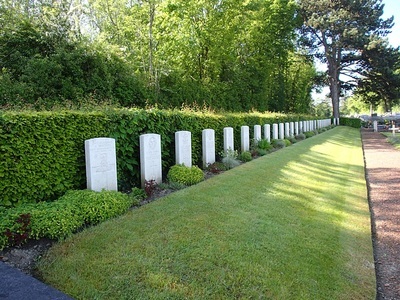 There are also 12 Second World War burials, all dating from late May - early June 1940 and the withdrawal of the British Expeditionary Force ahead of the German advance. 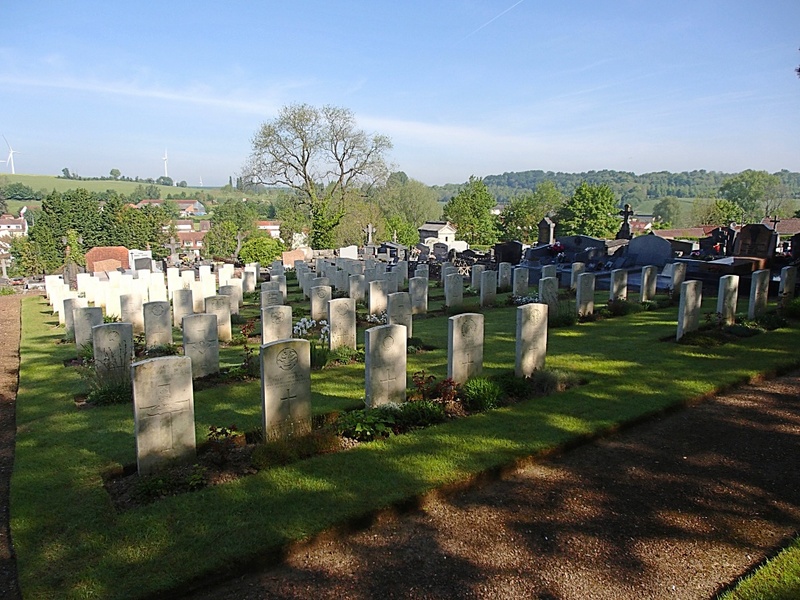 The EXTENSION contains 304 First World War burials. Casualty Details: UK 195, Canada 2, Australia 1, New Zealand 4, South Africa 4, India 4, Total Burials: 210.